This what I had for lunch today. 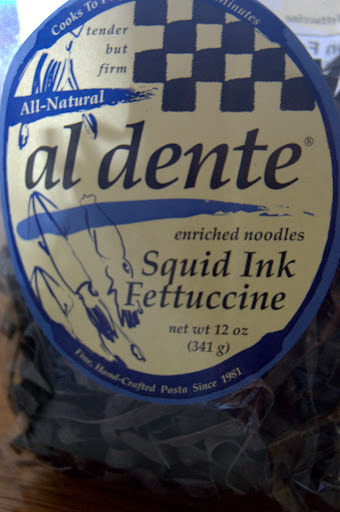 The squid ink pasta came from my mom. 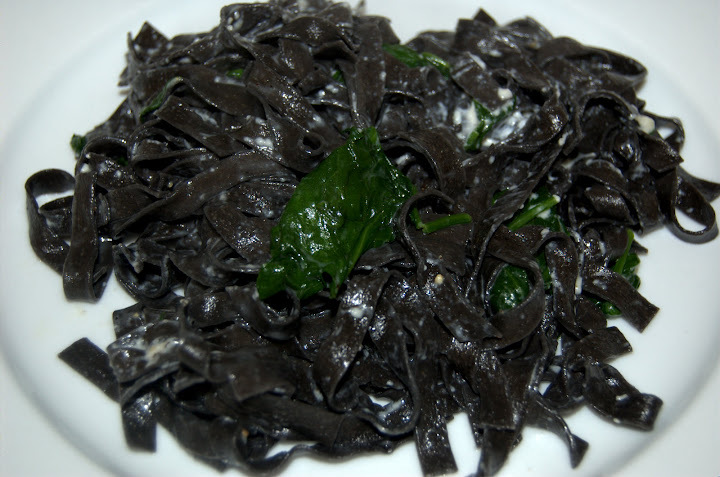 It’s an egg pasta that’s been dyed a deep black color with squid ink, which also gives it a salty, kind of oily taste as well. The great thing is that it cooks in 3 minutes. For Halloween, I will probably make a “spooky” pasta with a nice bright orange pumpkin sauce, but today I just wanted a very simple, very light lunch, so this is what I made. Note: this makes a light pasta dish for one; to make it more hearty, add in any of the following: 1 c. chopped broccoli, 3/4 c. shelled edamame, 4 ounces of cooked shredded chicken and/or 1 small zucchini chopped. However, as it is, this is a very simple 5 ingredient recipe, not including the salt and pepper. Bring a pot of water to a boil; sprinkle in some salt and a bit of olive oil before adding in the pasta. The olive oil will help keep the egg pasta from sticking together. In the last 30 seconds of cooking, add in the spinach. When the pasta is al dente, pour the pasta and spinach into a colander to drain and sprinkle with a bit of olive oil. Keep the empty pot on the stove over medium heat. 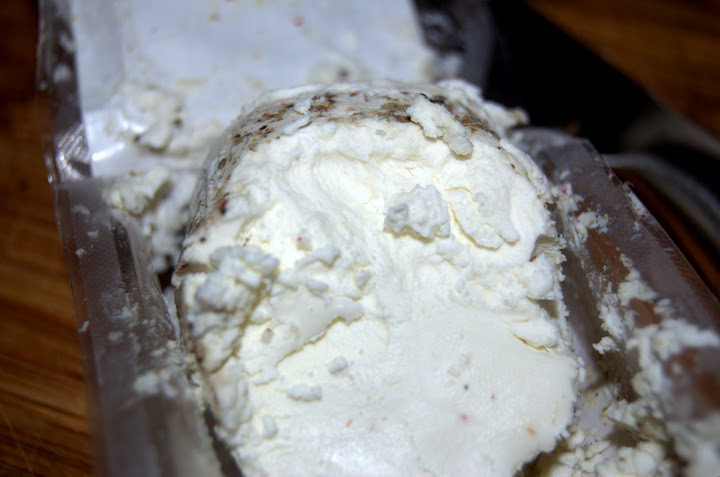 Add in the milk and then the goat cheese, stirring until the cheese has melted completely into the sauce. Add in the pasta and spinach (or other veggies) and mix thoroughly. 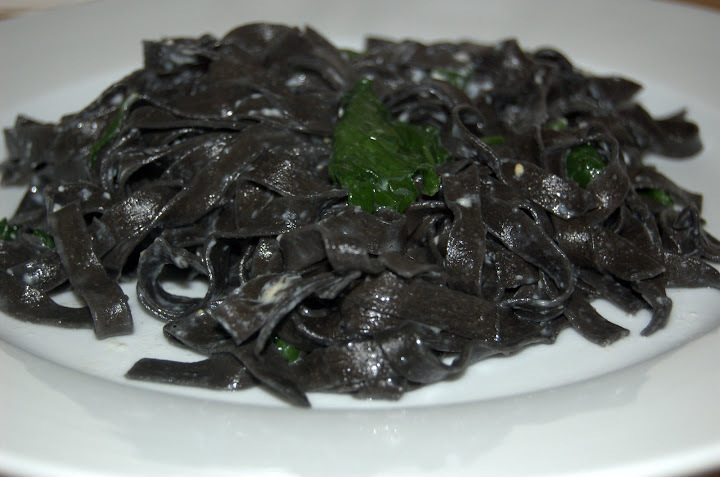 Taste and season with salt and pepper until it’s to your liking; remember, the pasta itself is already a bit salty, as is the goat cheese, so you’ll probably find that all you need is pepper. This entry was posted in General Musings and tagged healthy, pasta, vegetables on October 26, 2009 by Lauren.